"Fox star Tucker Carlson in critical condition (then died) after head on collision driving home." By Joshua Gillin on Monday, May 15th, 2017 at 4:27 p.m.
Fox News host Tucker Carlson was the latest conservative media icon targeted by a death hoax after Internet stories surfaced that said he had been killed in a car crash that was no accident. "Fox star Tucker Carlson in critical condition after head on collision driving home," read the headline on a May 13, 2017, post on DailyUsaUpdate.com, a known fake news site. Other suspect sites also ran the story. Facebook users flagged the story as being potentially fabricated, as part of the social media site’s efforts to cut down on bogus news in users’ feeds. The fake story said that Carlson was driving home from Tucker Carlson Tonight in New York when he "was rammed in what looked like an act of violence and not an accident." The post claimed Carlson was taken to a hospital for surgery, while the driver of a Ford Explorer with a reinforced bumper and extra foam padding on the steering wheel fled the scene after hitting the news anchor. That article was followed the next day by another on DailyUsaUpdate.com that said Carlson had died from his injuries, and that police had ruled the death a homicide. The story strongly suggested the crash was deliberate, and had something to do with either the Clinton Foundation, former FBI director James Comey’s firing, or both. This follow-up, too, ended up on other websites. First of all, we know the story is fake, because Carlson is alive. A Fox News Channel spokeswoman confirmed to us that the articles are a hoax. She also noted that Carlson is based in Washington, not New York. The post is yet another fake news story created by the parody purveyor TheLastLineOfDefense.org, a website that has been the source of several fake news stories that we’ve previously checked. TheLastLineOfDefense.org publishes bogus posts keyed to topics designed to troll conservatives. 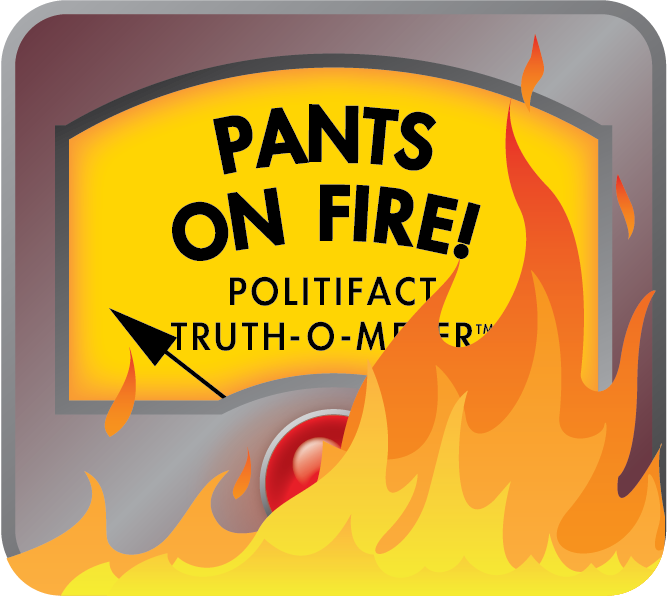 The site’s creator, a man who said his name is Zeke Wilekenmeyer, has told PolitiFact he deliberately worked to get gullible readers to share his stories to prove those readers don’t rely on facts. The articles quite often end up being passed around on multiple websites, often without an indication that they are fake. The original fake post that Carlson had been in a crash appeared on the site on May 13, and its follow-up was published May 14. Then TheLastLineOfDefense.org published another story on May 14 that said the death rumors were actually a hoax perpetrated by someone who goes by the name Busta Troll. He had been paid more than $100,000 by billionaire George Soros to make up the story, the post said. While the update is written to make it sound as if TheLastLineOfDefense.org had been fooled into thinking Carlson had died because of Busta Troll, the real story is that Wilekenmeyer (or whatever his true name may be) actually is Busta Troll. The troll character is part of a years-long saga involving the author "goating" conservative web pages and using pseudonyms to spread contrived stories aimed at fooling conservative readers. A complex scheme to expose the identity of Busta Troll in 2014 turned out to be yet another trolling scenario. TheLastLineOfDefense.org had followed a similar strategy in April 2017 when saying that conservative rocker Ted Nugent had first been killed in a hunting accident, then had been assassinated, then had actually faked his own death. Nugent was still alive, and so is Carlson. We rate this statement Pants On Fire! Published: Monday, May 15th, 2017 at 4:27 p.m.